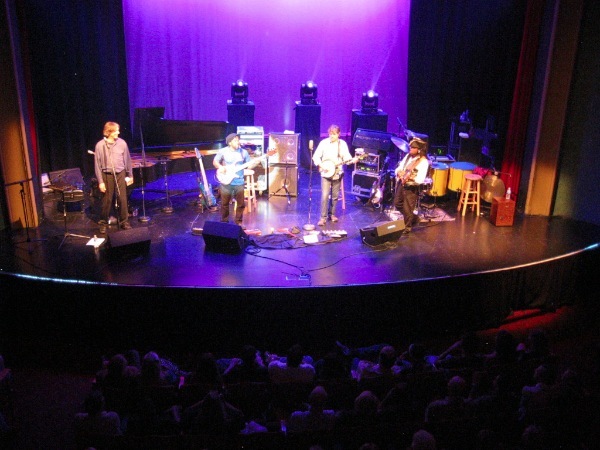 I had the pleasure of seeing Bela Fleck and the Flecktones perform on October 13, 2011 at the Lyric Theatre in Stuart, Florida. Joining Bela on stage were Victor Wooten on bass, “Future Man” on percussion, and Howard Levy on piano and harmonica. It was the first time Howard Levy was reunited with the Flecktones in 20 years. 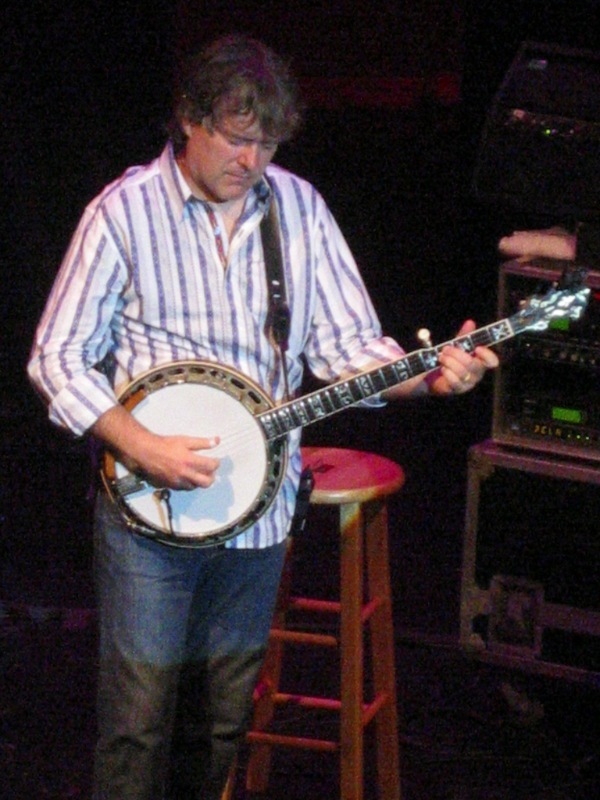 My first experience seeing Bela Fleck perform was back in the 1970s, when he played with the New Grass Revival as the warm up band for John Hartford. At that time, Bela was just making a name for himself. Since then, I had seen Bela Fleck and the Flecktones perform in downtown West Palm Beach at the annual Sunfest event. It was only a couple of years ago that I had front row seats to see Bela perform with Stanley Clark. That moment dissipated with a hurricane, as the event was canceled. Just our luck. How often can you get front row tickets to any concert? On this particular night we sat in the top balcony and I can honestly say that they were some of the best seats we had in a long time. First, because we sat in the front row and center. A perfect location for me to photograph the entire band from my seat. You can see the gallery of photos by going to www.fretmentor.com. The setting was intimate. The Lyric is a small venue but not too small. It is located in a quaint downtown area not far from the Atlantic Ocean. When you enter, you feel you are there to see a movie. The crowd gathered in the lobby and once the lights flashed on and off, the concert was ready to begin. 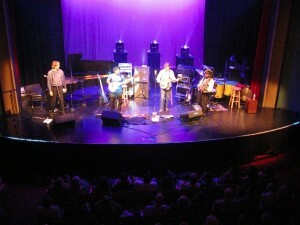 All of the Flecktones gave the audience their money’s worth. They performed most, if not all, of their tracks from their latest album “Rocket Science” and they ensured that each of the four performers would be featured at some time throughout the night. They also played the Hippo tune, which is a crowd favorite. Based on the reaction of the crowd, the audience was mesmerized with the talents of Bela Fleck, Futureman, Victor Wooten, and Howard Levy. 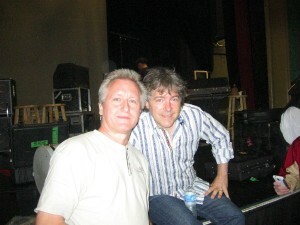 Afterward, I had the chance to personally meet with Bela Fleck and the band. A small crowd gathered around the band, as they sat on the edge of the stage to greet their fans. An opportunity to meet these performers up close and personal is one of the primary reasons why a small venue concert can equate to the greatest of value. It was one special night for a music fan such as myself. This entry was posted in Banjo, News & Events and tagged Bela Fleck and the Flecktones, Belas Fleck, Futureman, Howard Levy, Victor Wooten. Bookmark the permalink. That was a cool show. All of the band members were truly on that night. It gave me a new appreciation for what you can do with a banjo.